Error in XML Data Bank with strings that contain "&"
Invalid XML input: The entity name must immediately follow the '&' in the entity reference. Is there any way to bypass this issue? Tool successfully stores values into XML Data Bank and asserts against service response. Tool fails to store values and entire test fails because of the "&" symbol in the second value. The & is a special character in XML that is why you get the error. in the XML that you get from rest call it should be escaped with correct escape sequence "& amp ;" otherwise it is not well formed XML. 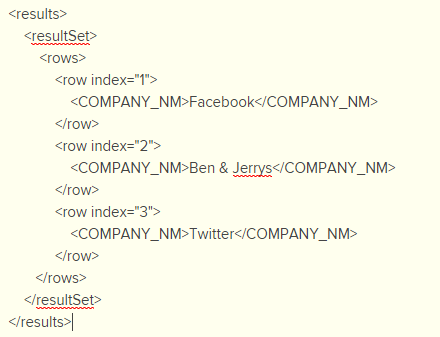 Or if you get not a XML then use Text Data Bank or JSON Data Bank based on returned message format. Using a Text Data Bank seems to be working now. However, is there any way to view the value(s) being stored in the Text Data Bank? With the XML Data Bank you could click on 'Evaluate XPath' and you would get the value that was stored, but I don't see an option to do that with the Text Data Bank. So in this case, is the Text Data Bank storing all 3 company names? Or is it storing only one of them? Is so, which one? Unfortunately, the text databank will only extract the first instance of the extraction. You would need to create several extractions using the row "index" as a boundary to differentiate between the different company names. 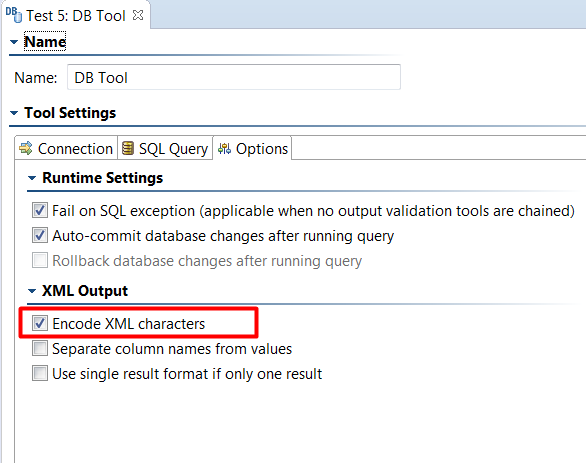 By the way, did you try enabling the "Encode XML characters" option in your DB tool? This option will encode special characters that are contained in your xml payload such as '&' or '<' to avoid breaking the xml when it is passed into an XML databank. I recommend giving this a try if you haven't already.